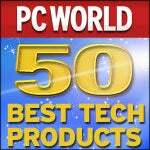 PC World’s “50 Best Tech Products of All Time” — how many have you used? What are my three selections which didn’t make it on the list? In comparison to today’s games with intense graphics, this was a simple text-only game. It popularized the interactive fiction genre, and, thanks to the lack of graphics, is just as fun to play today as it was 20 years ago. The gamesgames started simple enough but grew into impressive releases that included Advanced Dungeons and Dragons, B-17 Bomber (with Intellivoice), and MLB Baseball (where we got so good, the pitcher made nearly every play, and you can “Old Spice” the ball). My first real experience in real programming was with this incredible (for its time) programming environment. I even rewrote a BASIC-language game, 3 in 1 Football, into Turbo Pascal. I didn’t have a printer, and the football game was on a different computer in a different room, so I hand-wrote pseudocode on paper then recoded it from scratch in Pascal. Not bad for a 14-year old. It’s always nice to look back at where we came from to appreciate where we are. – I used this browser because it was the one to use back in 1994.this is when I started to get into HTML/web design. – I bought this because I wanted to be cool too. – Simply the best. This zip Drive thing was one of my favorite toys. – Hello my name is Louis and I’m a WOW addict! I’m on the wagon now but with any wagon I can surely fall off. – I used this briefly. Wish I had more time with it since I wanted to get into DTP. I’m not sure they hit the right 50. There are a few things missing from “my” the Top 50 list. We need vastly more freedom than we do regulation.